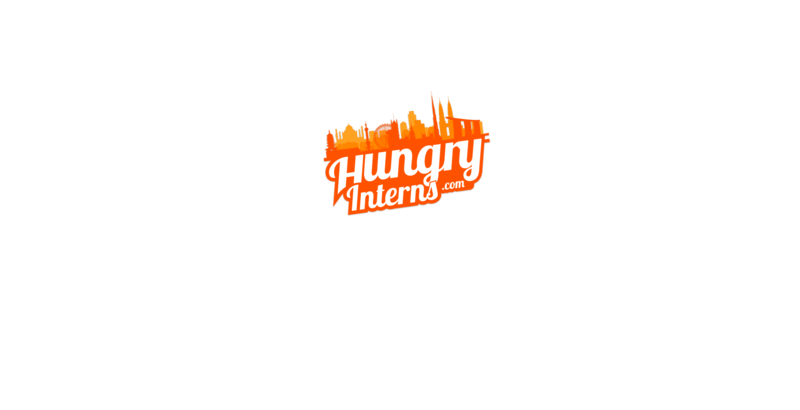 Hungry Interns is a recruitment platform connecting employers with overseas students and graduates and placing them on Internships. 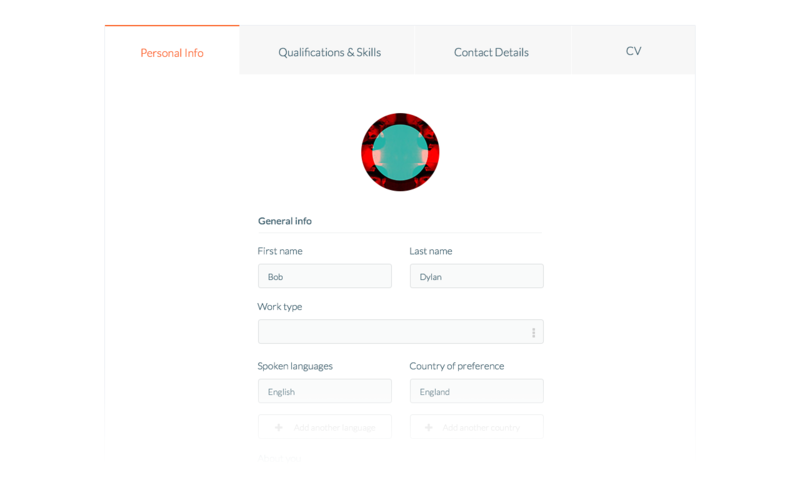 Working with leading employers from across the globe in a variety of leading economies such as Singapore, Malaysia, Brazil, UAE, South Africa and more. 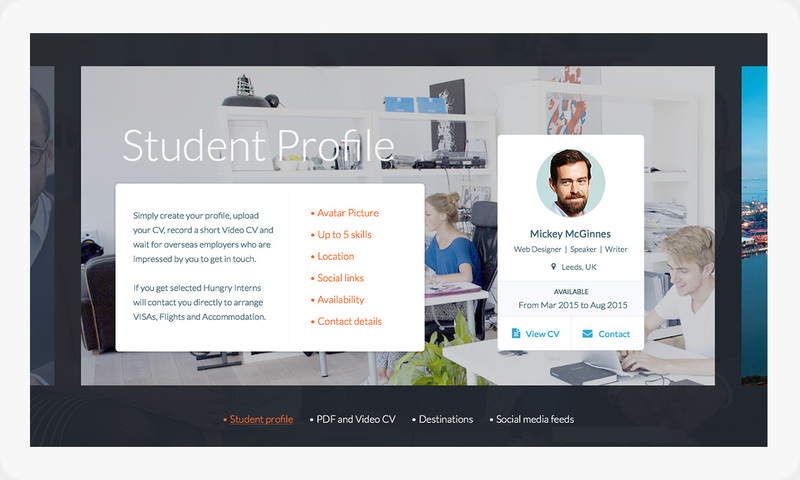 Creating a landing page to promote the coming soon website and its features as well as designing a responsive website that will be appealing to both students and companies; focusing on the intern search functions and student profile pages. 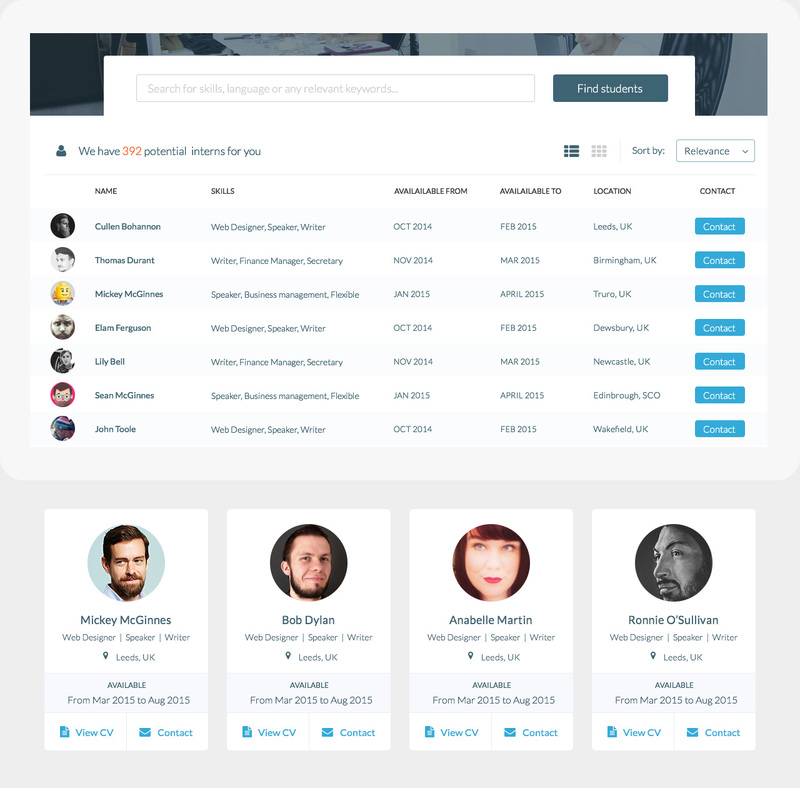 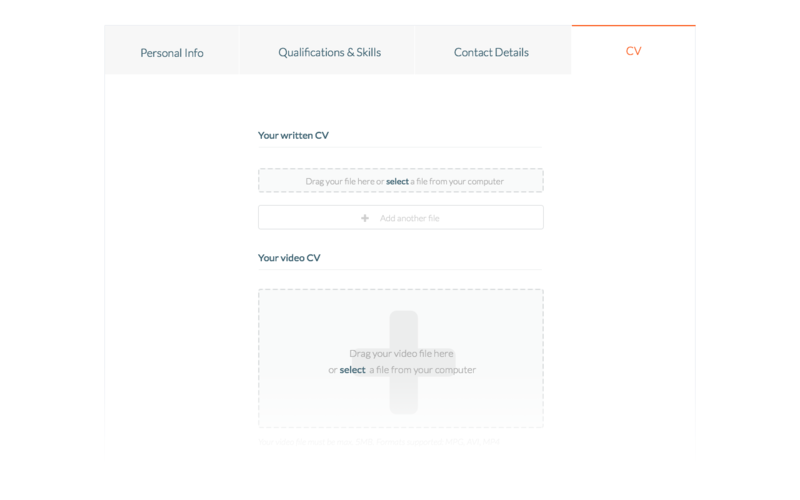 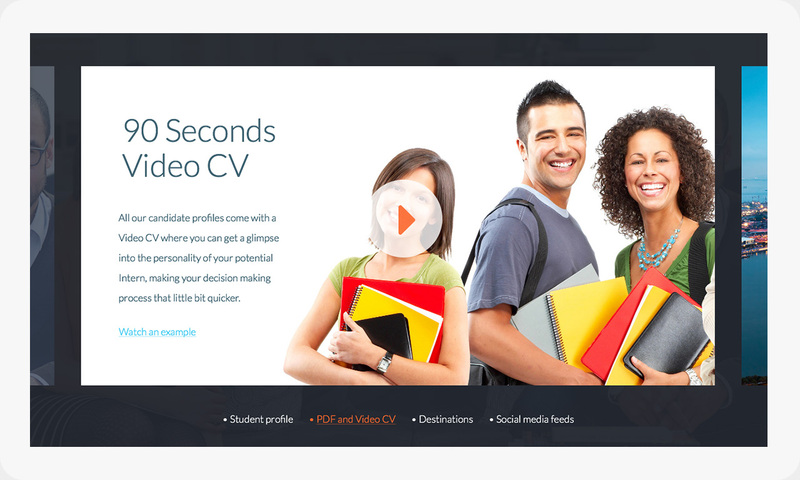 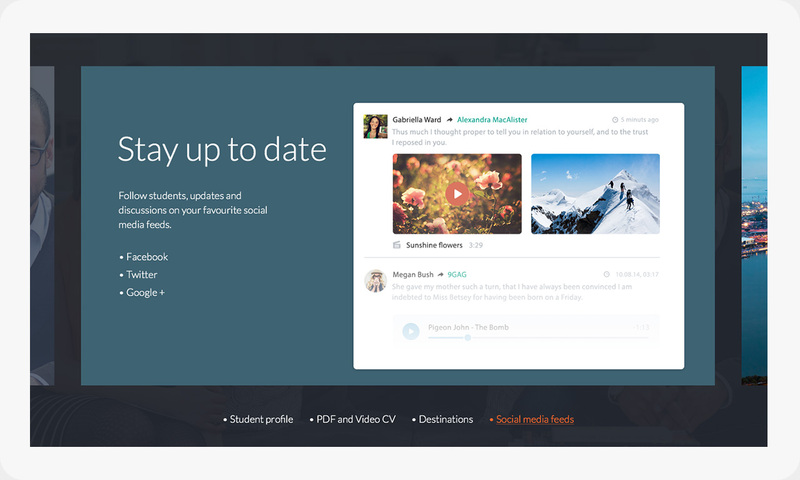 The way people employ interns was simplified by introducing the video cv feature. 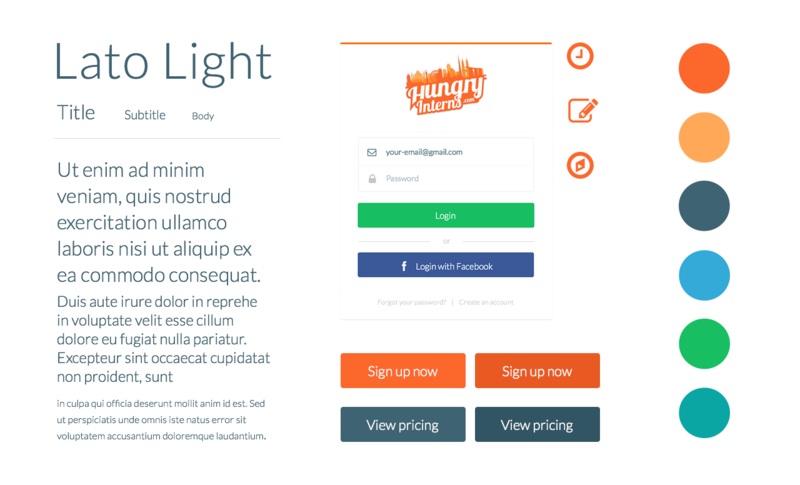 For the homepage, I wanted to design a solution using a responsive framework to have a dynamic experience on both mobile and desktop platforms. The colour palette I've chosen offers support and balance to the brand's main colour palette and suits the young and willing intern that wants to obtain a position within a company as well as the corporate feel of a respectable company. 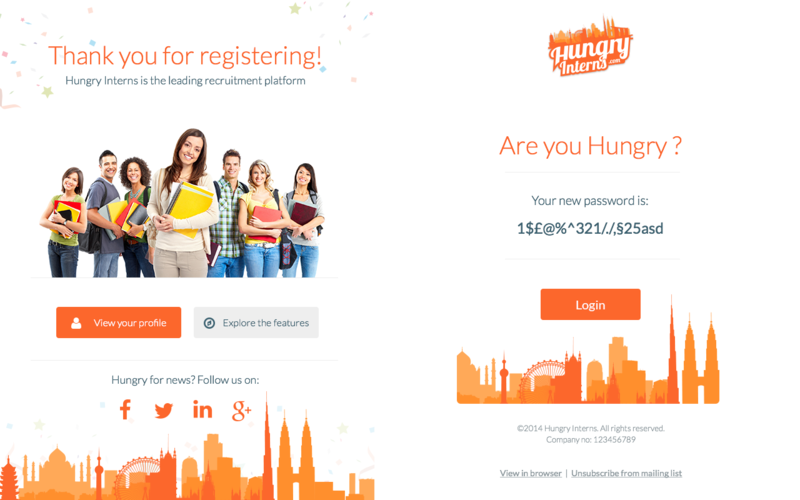 After working through a few homepage iterations, I looked to be more direct and rely on strong imagery and contrasting colours. 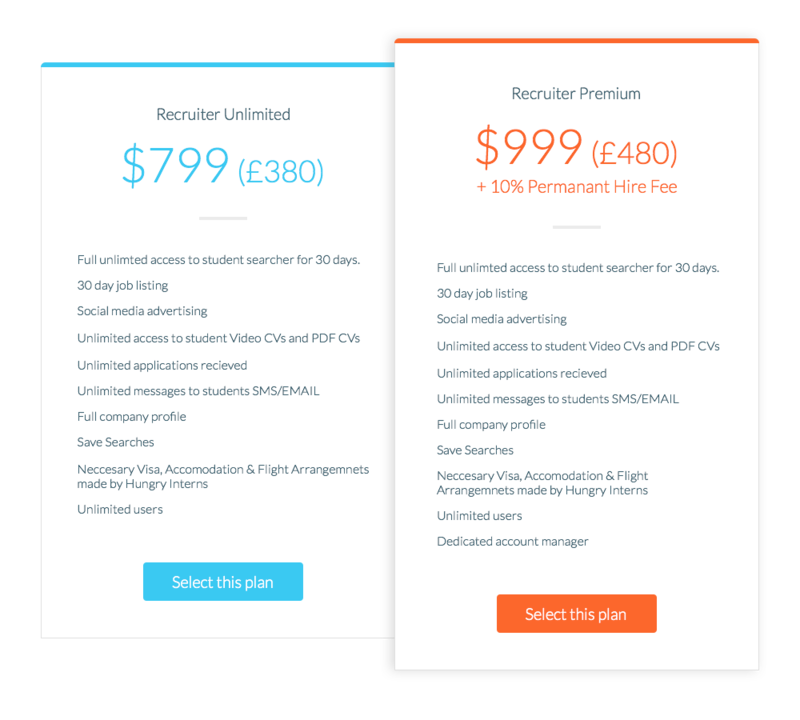 The website is designed to focus on the "interns/students" more than the employers; as without registered students the product is redundant. 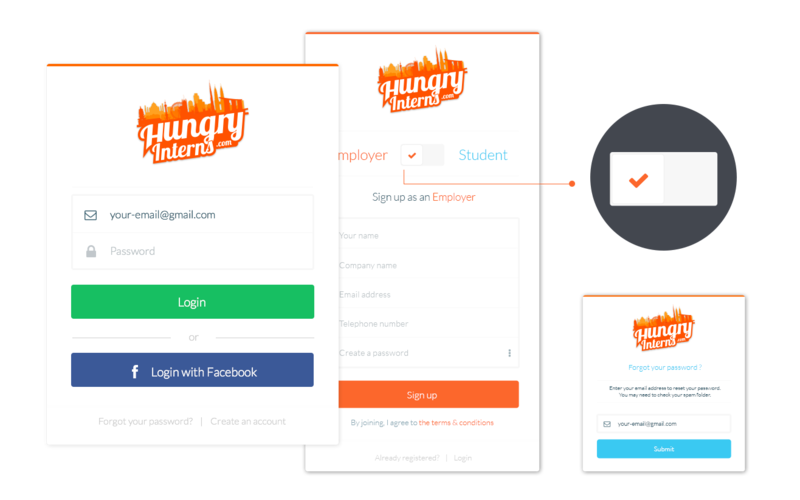 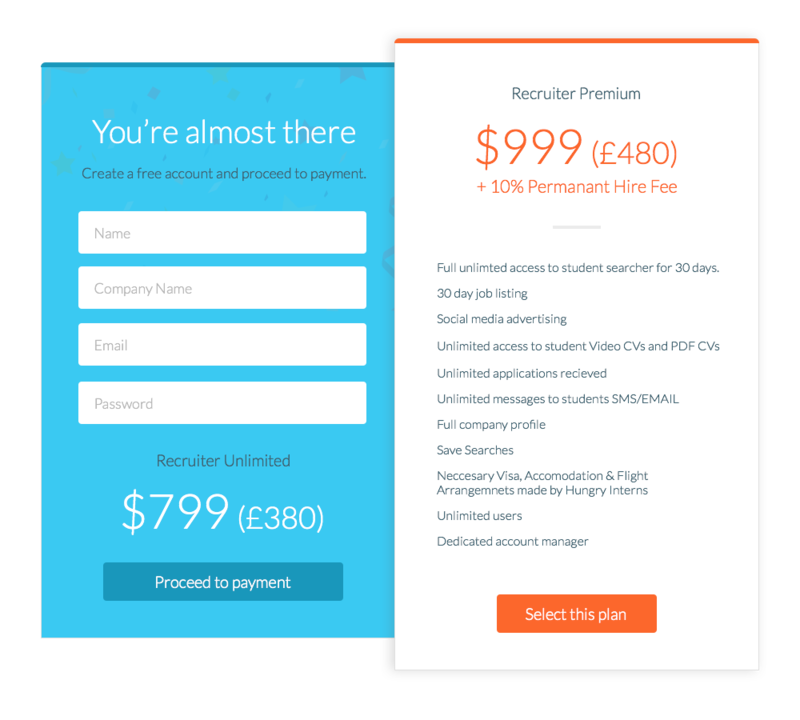 But the "employers" side is in balance with the "intern/student" using a few strong call to action buttons and an explanation of how the product works presented in 5 simple steps.